"CAP 2020. Towards sustainable agriculture"
The international conference "CAP 2020. Towards sustainable agriculture" was dedicated to the future of EU's Common Agricultural Policy (CAP). The conference is focused on the EU's Common Agricultural Policy (CAP) and its reform. Is CAP sustainable? What do we expect from CAP after 2020? How can the next CAP support a living land? What kind of CAP would keep family farms alive? What kind of CAP would ensure the development of organic production? Farmers, farmers organisations, NGOs and public sector representatives from all over the Europe will share their views and hopes on today and for future common agricultural policy. The aim is to have open discussions on CAP reform and to reach more balanced and environmentally sustainable agriculture. The conference is organised by Estonian Fund for Nature (ELF). The event takes place under the auspices of the Estonian Presidency of the Council of the European Union. Read Estonian Fund for Nature's CAP blog HERE! The environmental and agricultural organisations, farmeres, agricultural experts and officials of Estonia and other EU Member States. Find the introductions of the speakers HERE! Find the list of participants HERE! The conference (on the 1st day) takes place in Tallinn in the Hotel Euroopa (Room name: Lääne-Euroopa). The Hotel is located next to the Port of Tallinn. Address: Estonia Paadi 5, Tallinn, Estonia. Seminar and farm visits (on the 2nd day) will take participants to a small bus tour through three different counties of Estonia. Saidafarm is located in Harjumaa and Mätiku farm in Pärnumaa. The seminar will take place in Penijõe manor, Läänemaa. Penijõe is located in beautiful Matsalu National Park. Transport for 40 people is organised by Estonian Fund for Nature. On the first day the presentations are both translated into English and Estonian. On the second day all presentations are in English. Participation in the conference is free of charge for all the participants. Estonian Fund for Nature is not able to cover the costs of transportation and hotel room. For your accommodation during the conference we suggest Tallinn Hotel Euroopa, which is the same place where our conference is held and where you get special rates, if you refer to the keyword “nature”. The room availibility and the special rates are guaranteed until the 1st of August 2017. Please make your reservation via e-mail sofia.zurbenko@euroopa.ee and don´t forget to refer to the keyword “nature”. 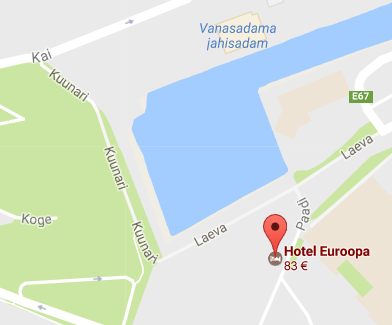 For participants travelling by plane - Tallinn Airport is located 4 km from the conference venue. It is possible to go from the airport to the Hotel Euroopa by taxi (estimated cost 6 euros) or take a bus No. 2 in front of the airport to the harbor, stop name Reisisadam D-terminal. From there the hotel is 5 minute walk away. Tallinn public transport card as well as single tickets are valid in public city buses. Single tickets are sold by the driver when you enter the bus. The cost of a single ticket is 1.60 EUR. Public transport cards are sold in kiosks.